Once installed, it runs silently to protect you from the latest viruses, malware, spyware, unsafe apps and settings, unwanted callers, and other nasty threats. Lost it? Remotely find & lock it. Just visit our Anti-Theft website from another device to locate and track your lost phone or tablet on Google Maps. You can even remotely lock it and blast an alarm at full volume. Best of all, if you think your mobile is gone for good, you can remotely wipe it to prevent your private data from falling into the wrong hands. Prevent others from snooping on your private photos, messages, and documents by locking any of your apps with a unique PIN code. App Lock will also offer to lock potentially sensitive apps (e.g., Facebook, Instagram, WhatsApp, etc.) when you install them. Now you'll know if an annoying brother—or master thief—tries snooping on your phone or tablet. 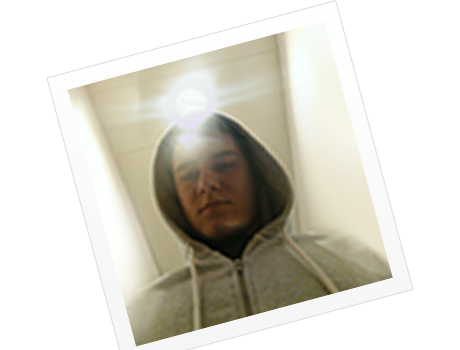 When anyone fails 3 times to unlock your device, Camera Trap will take a secret photo of them and then email that photo to you with the time and location of the incident. After stealing a phone, a thief will usually remove the SIM card. 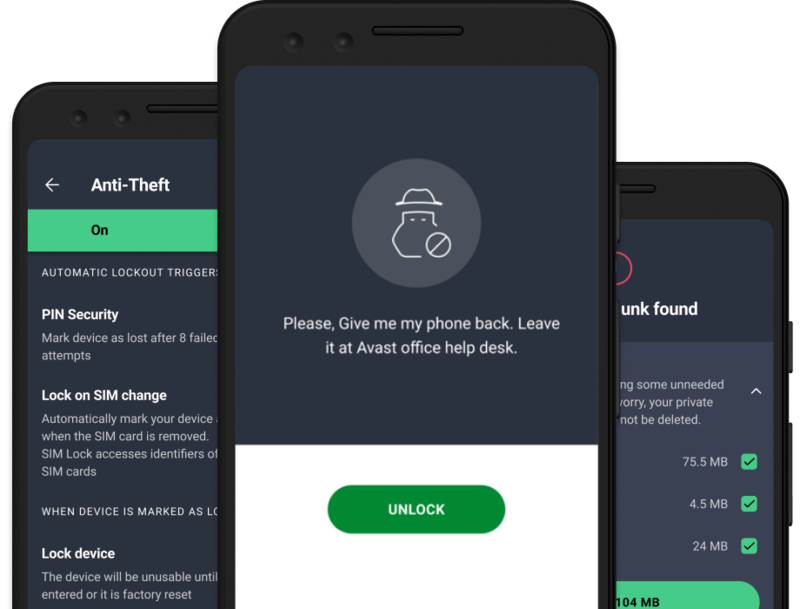 But with Device Lock protecting your phone, if anyone replaces the SIM card, your phone will lock itself to prevent them from making calls and accessing your private data. 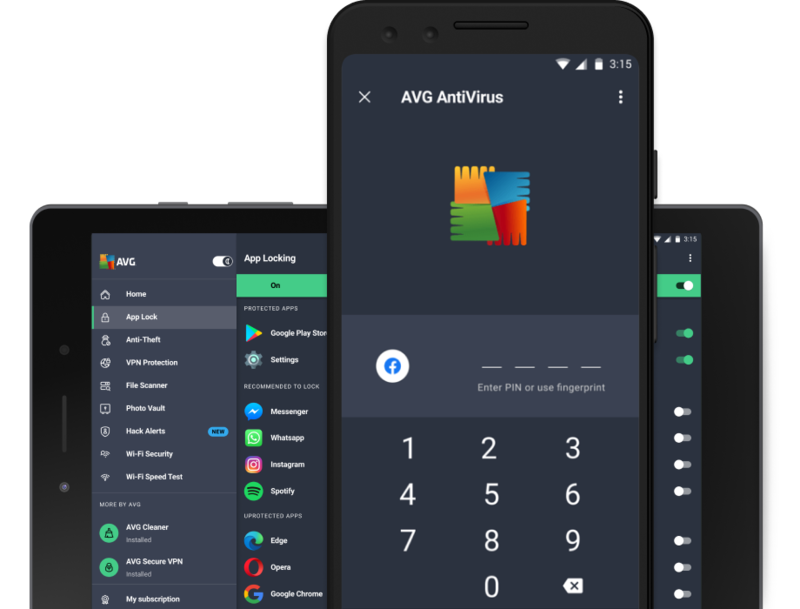 In addition to mobile security, AVG AntiVirus includes App Backup to help you back up your apps to your SD card so you never get caught without your favorite games and utilities.